Sure Drive USA manufacturers a wide variety of deck fastening solutions. 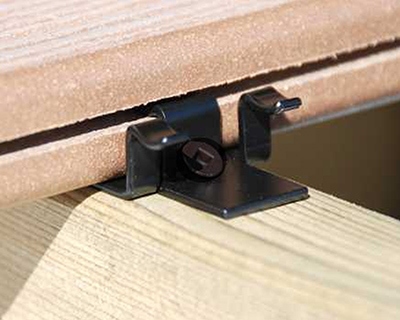 Our hidden deck fastener line includes The Mantis Clip® for grooved boards, voted as the easiest hidden deck fastener to install; it has been a favorite with decking contractors as well as DIY homeowners. The Eliminator RCS™ with E-Z Slide attachment is now made for us by Senco. It is a pneumatic installation tool for installing Mantis using Ballistic Nail Screws® to fasten grooved decking up to 75% faster than conventional methods. Mantis hidden deck fasteners can also be installed using standard hand drive screws. Our Deck Pack™ contains enough Mantis clips and screws to install 250 square feet of decking. Mantis clips are also available in a 50 square foot box that includes start and finish clips. Our Mantis clip is recommended by top decking manufacturers like: MoistureShield®, Trex®, Latitudes®, ChoiceDek®, Modernview® and more. 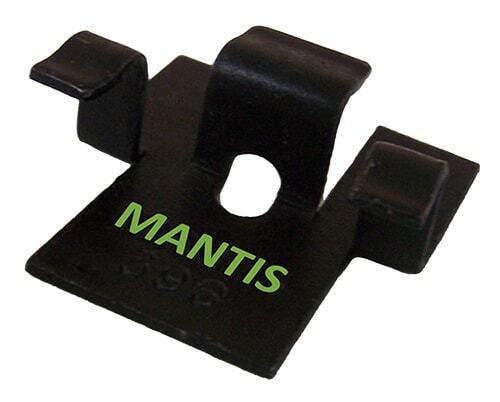 The Mantis is different than the other “generic” clips on the market because it is built with a base that promotes airflow to insure the joist structure remains protected. The Mantis clip is available in four profiles to precisely fit specific boards. Our 30 year warranty against loose deck boards is unmatched in the industry and our Mantis clips are proudly made in the USA. Contact our sales department at (877) 767-1850 or email us for more information at [email protected] to learn more about our innovative deck fastening products or visit our website at www.suredrive.com to see all of our hidden deck fastener options and view our installation videos. Mention this article and ask how you can qualify for a free Mantis Installation Tool.